We also design invitations for birthdays, corporate events, christenings, anniversaries and other special events. 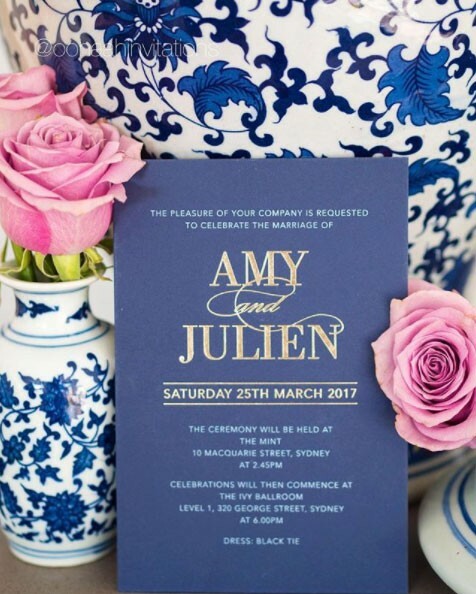 Our hard cover weddings invitations have a unique book style finish. 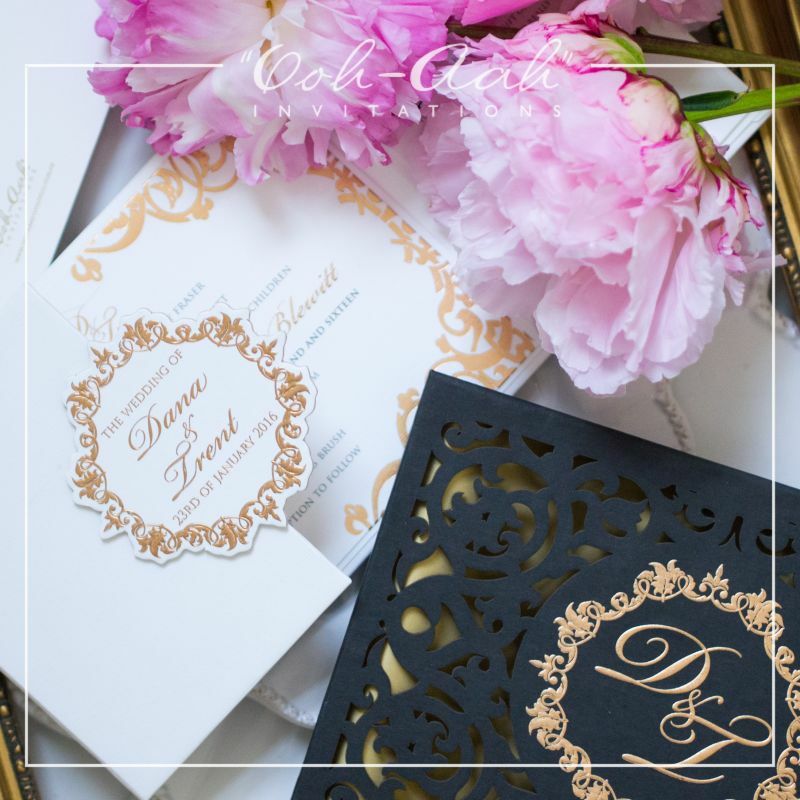 Hard cover invitations are produced with premium quality board and wrapped with luxurious paper. 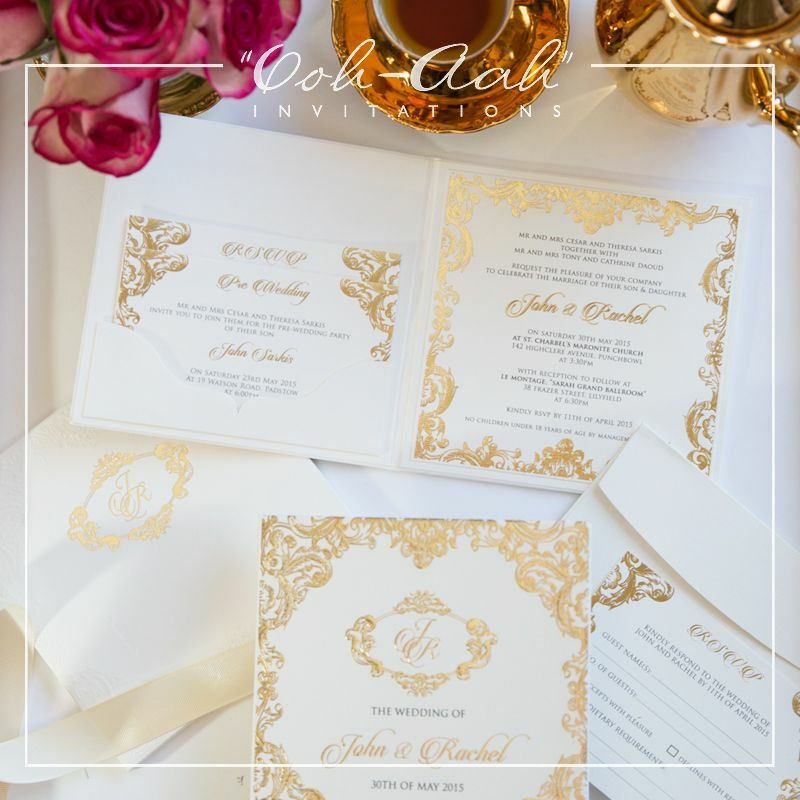 We also produce traditional card style invitations (soft cover) with the same beautiful design elements as a hard cover wedding invitation. 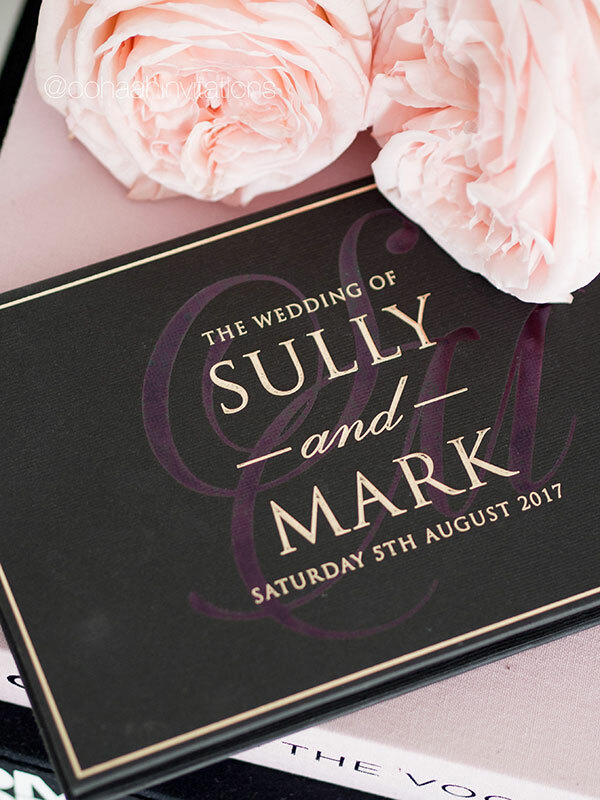 As experienced and motivated graphic designers, we can create an invitation design that will perfectly compliment the style of your wedding and leave your special guests feeling excited and breathless. 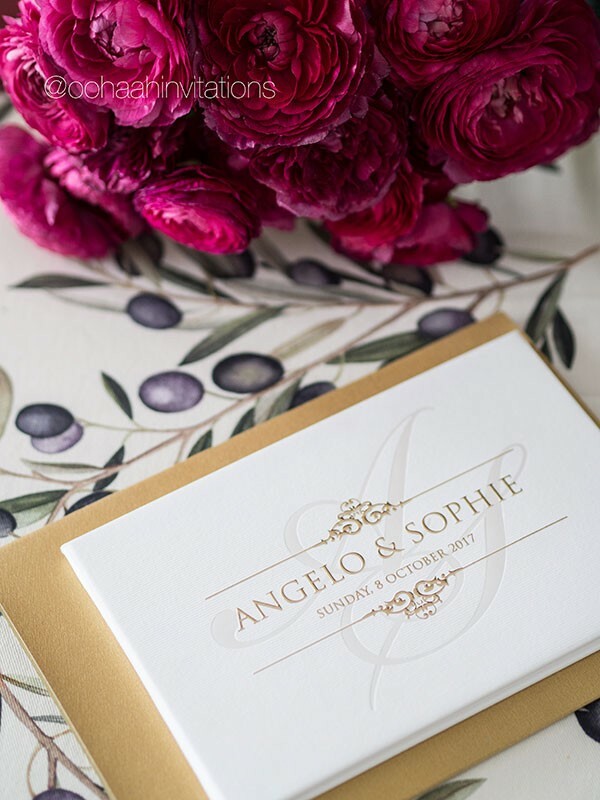 Foil stamping, embossing and debossing are special printing techniques we apply to various parts of the invitation for an impressive and elegant finish, even to the most simplest design. Gold, rose gold, silver and matte silver foil are commonly used however other colours are available upon request. Your design consultant will discuss the various possibilities, advise on paper type and textures, and design the artwork suitable to suit your chosen finish.